There is always a way to build intimate relationships between consumers and car brands. Ranging up the sports car series up to hypercar, including to produce special editions car. An example is Ferrari, which has just introduced the Ferrari special edition, which is made exclusive only for true Ferrari collectors. These special edition cars were include in the Ferrari 'Icona' family are. The Ferrari 'Icona' series were launch at the Capital Market’s Day in Maranello, last Tuesday, September 18, 2018, featured two cars at once, namely the Ferrari Monza SP1 and Monza SP2. Interestingly, both cars use the barchetta car body concept. For your information, a barchetta car concept is basically a sports car that use a front-engine with no roof and no windshield, which only has 1 or 2 seats. 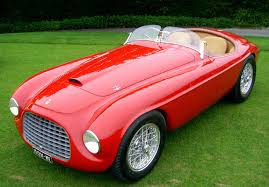 These concept cars became a trend during the 1940-1950s, where several Italian car brands such as Ferrari and Fiat were among the most diligent in producing these Barchetta-style cars. 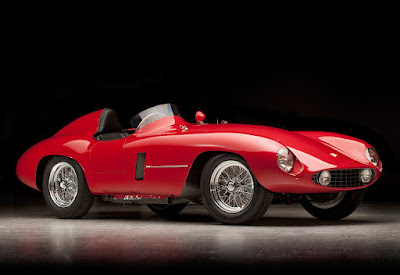 Specifically, 'Icona' is inspired by the Ferrari 166 MM produced in the 1948. The Ferrari 166 MM is the first Ferrari car to carry the body shape of a barchetta. Designed for long distance competition, the 166 MM took its name from one of the world’s most famous road races, the Mille Miglia, in which the Maranello cars were to triumph again and again. Its coachwork was built by Touring using the "Superlight" method. The 166 MM was both extremely light and extremely dynamic whilst still maintaining significant structural stiffness. This car uses a 1,995 cc V12 engine capable of producing power up to 103 kW (140 hp) at 6,600 rpm and allow it has a top speed of 220 km/h. And the 166 MM’s engine was also modified for run on “normal” commercially available fuel..
Then the Ferrari barchetta-shaped cars been continued through Ferrari Monza series cars such as the Ferrari 750 Monza. 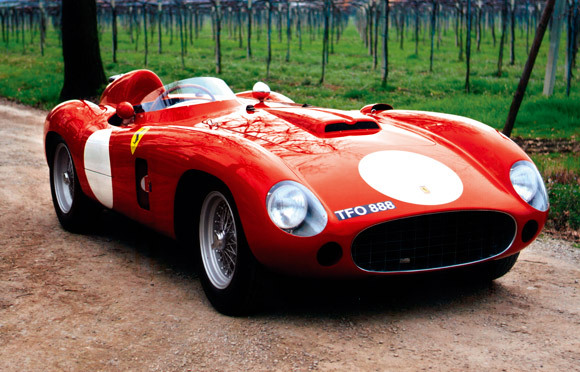 The prototype made its debut at Monza in 1954 with a 2,953 cc V12 engine based on a development of the four-cylinder Type 555 and took both first and second positions. Those engine capable of producing power up to 176 kW (240 hp) at 7,200 rpm and allow it has a top speed of 250 km/h. Almost all of the coachworks were built by Scaglietti to a Dino Ferrari design. 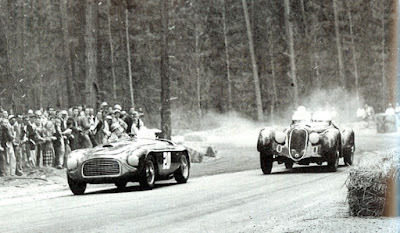 The most notable of the 750 Monza’s other victories was the 1954 Tourist Trophy. A development of the 750 Monza in the 1956, the 860 Monza used a bigger displacement, 3,431 cc version of the four-cylinder engine in the run up to the arrival of the new V12s. Those engine capable of producing power up to 206 kW (280 hp) at 6,000 rpm and allow it has a top speed of 260 km/h. After a rather low key debut at the Tourist Trophy, it was sent to the US where Phil Hill drove it to victory at Nassau. An improved version, driven by Collins and Musso, also went on to take second and third in the Mille Miglia behind the new 290 MM. The 860 Monza brought the era of the four-cylinder engine to a close and marked the channelling of the company’s engineering efforts back into the V12. 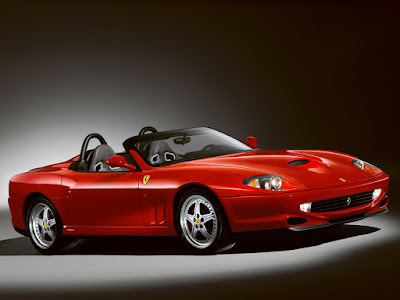 Apart from the world racing achievements, Ferrari also produces a lot of barchetta body cars for normal use. 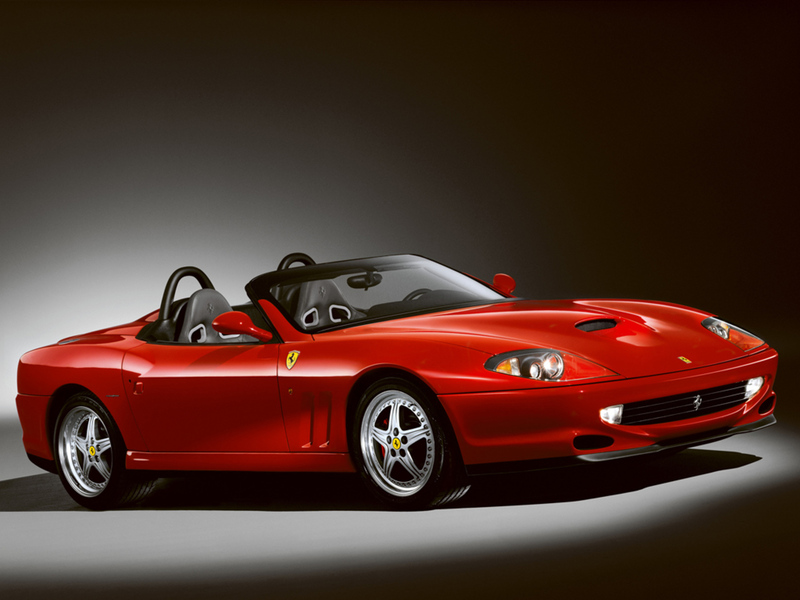 One of the last Ferrari cars to use the barchetta concept is a special edition of the Ferrari 550 Barchetta Pininfarina unveiled at the Paris Show in 2000, which produced in limited numbers of 448 units in between the 2000 to 2001.